A black hole is a cosmic rift from which nothing can escape, sucking you into the unknown … which sounds a bit like the hype around VR. Virtual reality currently seems to have an inexorable pull for technology companies, creative types and brands doing marketing stunts. Like a black hole, once you’re sucked in, no one really knows what happens next. 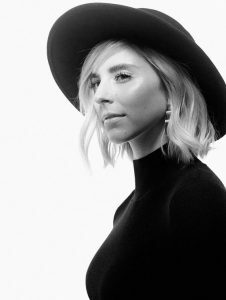 Eliza McNitt, lead artist of million-dollar VR experience “Spheres: Songs of Spacetime”. If you’re wondering why I’m stringing out this tortuous interstellar metaphor, it’s because a VR experience about black holes has just sold for seven figures. Designed by Eliza McNitt under the executive producership of filmmaker Darren Aronofksy, “Spheres” lets you walk inside spectacular cosmic phenomena, and it’s just secured a million-dollar-and-change distribution deal via a new company called CityLights to bring the three-part experience to the Oculus Rift platform this year. I tried the first installment of “Spheres” at the Sundance Film Festival this week. Usually Sundance deals of this nature involve a movie studio, distributor or streaming service buying a movie to release it — last year “The Big Sick” was the big buy of the festival. But Sundance has for a few years also had a dedicated VR section showing off cutting-edge immersive experiences, and this distribution deal suggests the future could hold hefty sales in the VR space too. The first episode of “Spheres”, entitled “Songs of Spacetime”, takes you into the darkness of space, guided by Jessica Chastain‘s breathy whisper. Floating among the heavens, you watch a star collapse and become a roiling light-streaked void. You’re then drawn into the black hole, the journey rendered in eye-popping kaleidoscopic colours. You crane your neck to watch the event horizon ascend into the blackness high over your head, placing you at the bottom of a dizzying well of stardust. From being pulled into the black hole, you become the black hole. Wait, is that another metaphor? I can’t tell. You can interact with the experience by waving hand controllers, sending nebulous shimmers of stardust looping around you. It’s a diverting but slightly anaemic form of interaction that, if you’re not feeling charitable, actually emphasises the lack of proper physical interaction in VR. “Spheres” also encourages you to interact with the experience with your voice. I believe that means if you sing your own songs of spacetime while wearing the headset, it translates your dulcet tones into trippy visuals reacting to the sounds you make. But I don’t know for sure, because I already felt silly enough wearing a big plastic helmet and waving my arms around gormlessly. I certainly wasn’t going to add to the embarrassment by hooting tunelessly. I’m British, what can I say. “Spheres” is certainly a stunning way to visualise gravitational waves and learn about the fascinating mechanics of our universe. Or it’s a trippy psychedelic hallucination, like stepping into the closing scenes of “2001: A Space Odyssey“. Either way, it’s pretty cool. Is it seven figures cool? There’s clearly a future for VR if this kind of cash is floating about, especially in a quiet year for Sundance movie acquisitions. 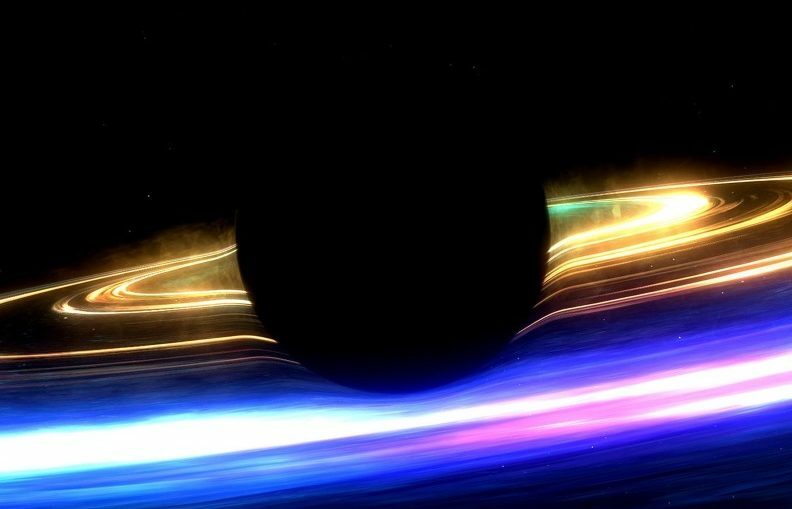 To return to the black hole metaphor, the “Spheres” Sundance deal is VR’s event horizon. It’s a watershed point, and we don’t know what lies beyond. This wave of VR is still in its infancy, and it isn’t clear if the future — by which I mean, the money — will be in gaming, or 360-degree immersive movies enjoyed at home, or location-based experiences at theme parks and movie theatres, or something else entirely. Other VR experiences exhibited alongside “Spheres” at Sundance were more technically advanced, pointing to possible futures for the medium. “Chorus”, a kaleidoscopic space adventure produced by VR luminary Chris Milk, brings a social element to VR as a group of people enter the story together and can see each other moving — or see their colourful virtual avatars moving, anyway. Also on display at Sundance was the impressive HaptX VR glove, which straps on your hand and makes it feel as if you’re actually holding and touching nonexistent virtual objects you can see in the VR world. Even with multimillion deals at stake, the question remains whether mainstream users will be drawn in by VR’s gravitational pull. Virtual reality could go supernova, or it could turn out to be just a big ball of superheated gas. This article was originally published by CNET.